Larus cachinnans adult 006P January 12 2007 & January 06 2008, Woerth, Niederoesterreich, Austria. Picture: Wolfgang Schweighofer. Bird from Azov Sea colony near the village of Hirsivka. Metal ring Moskwa C-513828, ringed as pullus on May 24 2000 at Island Podkova, Molochnyy Lyman, Zaporozhye district, Ukraine, (46"37’N 35°22’E). Trapped as male, controlled at nest with eggs on May 01 2006 at Jankowice gravel-pit, near Zator, southern Poland (50"02’N 19°26’E). This is a distance of 1238.4 km. 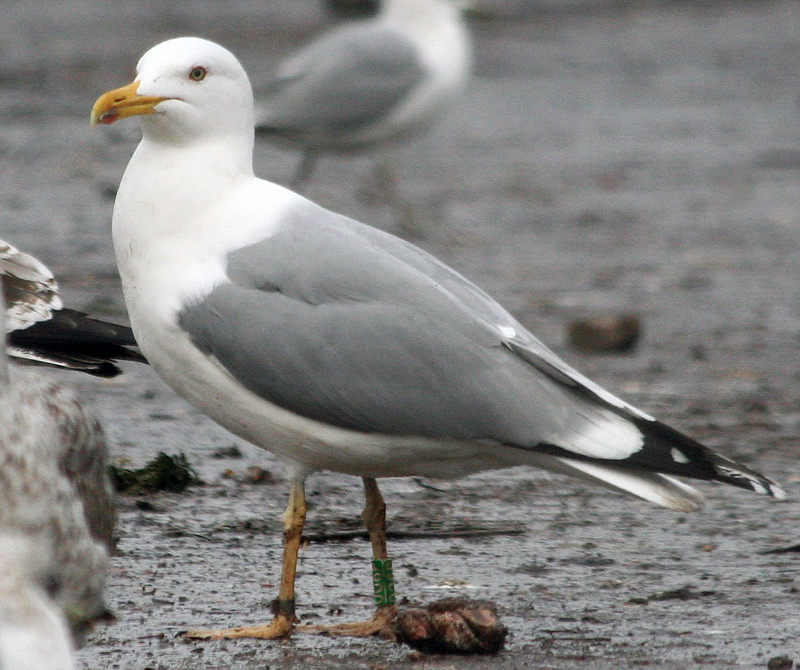 Ringer Jacek Betleja called it therefore the "most famous Caspian Gull of Poland", also mentioned in British Birds. below: cachinnans adult 006P January 06 2008, Woerth, Niederoesterreich, Austria. Picture: Wolfgang Schweighofer. Pale iris, red orbital ring, intense yellow bill and yellowish legs in mid-winter... And the knowlegde it hatched in the Azov Sea. Much resemblance to michahellis. below: cachinnans adult 006P January 12 2007, Woerth, Niederoesterreich, Austria. Picture: Wolfgang Schweighofer. Bare part coloration intense for cachinnans, but in a way acceptable. 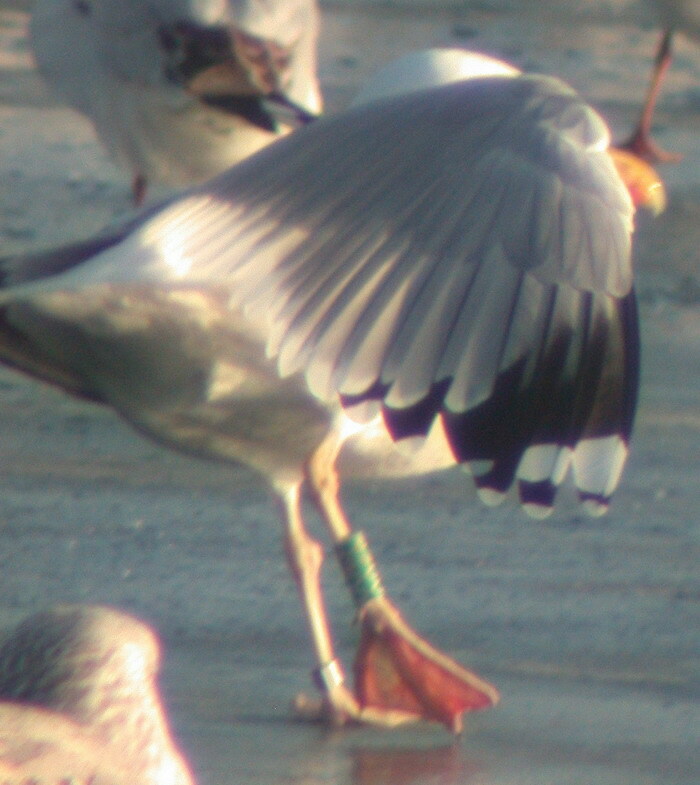 More problematic is the large amount of black in the wing-tip, with a full sub-terminal band on P10 and no deep pale tongue.